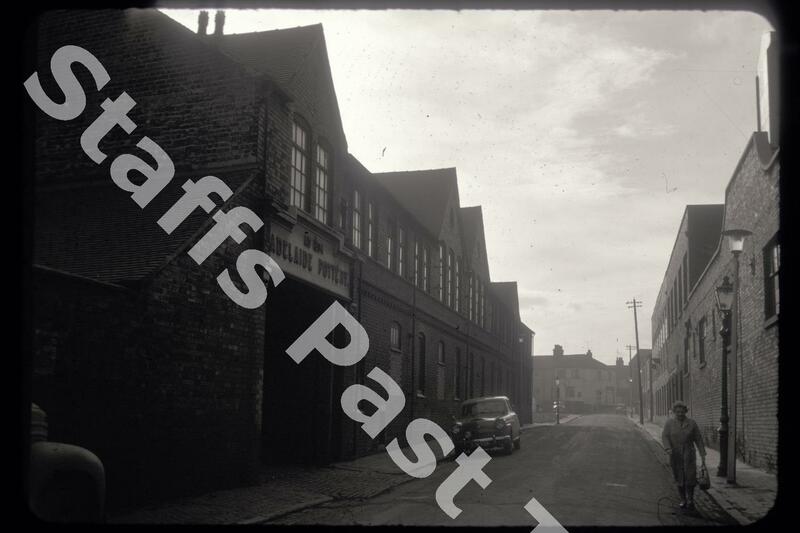 Description:Adelaide Street links Waterloo Road and Nile Street in Burslem. 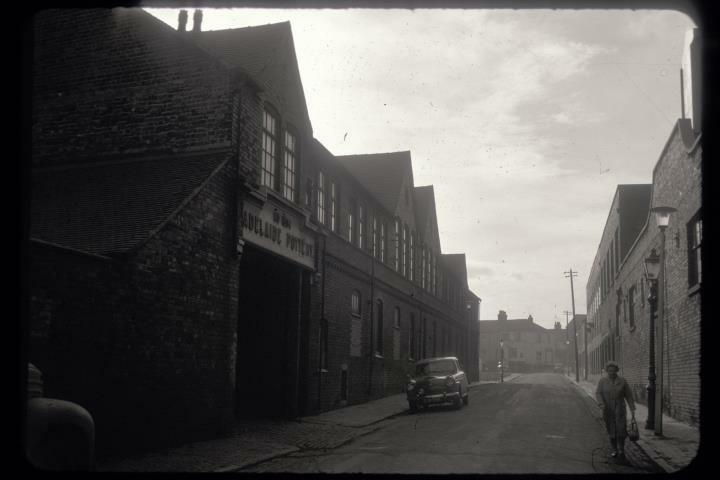 The Adelaide Street Pottery was operated by Robert Sudlow & Sons from the 1880s, although there had been a potworks on the site since at least the 1850s. The date tablet over the main entrance (1884) marks the start of Sudlow's works in Adelaide Street: they had previously operated a works in Bournes Bank, also in Burslem. Sudlows manufactured earthenware and specialised in teapots. The camera is looking towards Waterloo road in the distance. Adelaide Pottery buildings still stands, although the main entranceway has been sealed.